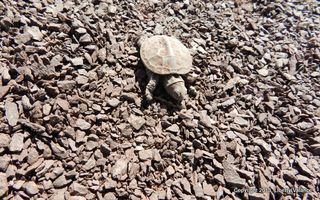 Liberty Valance and Jeanie Curtis took some amazing photos of a baby Diamondback Terrapin at Mill Creek Marsh last weekend. We'll post more pix and more information about baby Diamondbacks tomorrow. Just returned from the Carillon area along Disposal Road in North Arlington/Lyndhurst. 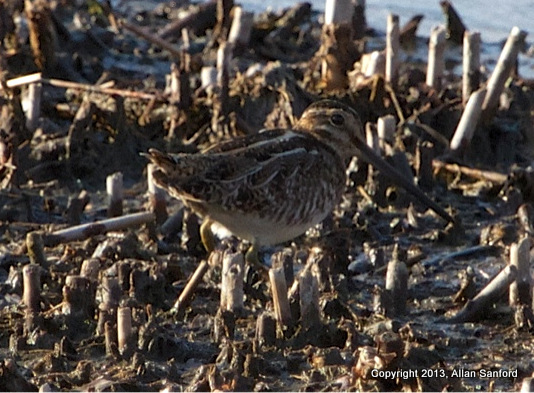 Across from the Carillon is a detention pond with at least two Wilson's Snipe in it. 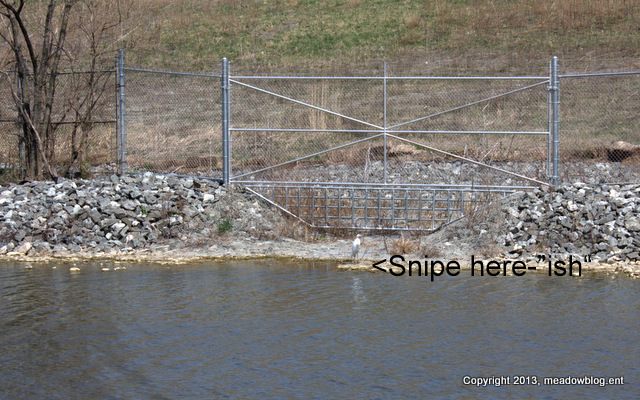 Above is a pic where we saw them moments ago — look for the gate across the pond. 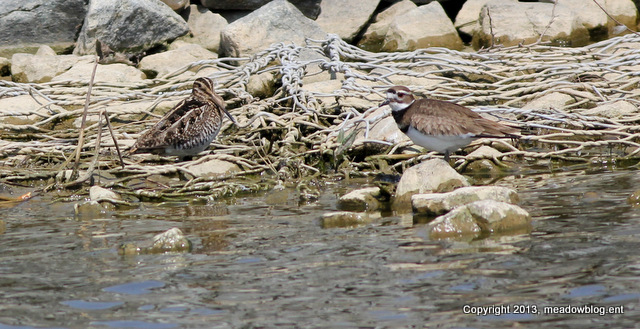 Below is a shot of a Wilson's Snipe with a Killdeer. Barn Swallows and Brown-headed Cowbirds also about, along with the usual Am. Kestrel action. Tuesday Teaser Times Ten Tamed! Oh, you wanted to know the ID for each one? Sorry about that. 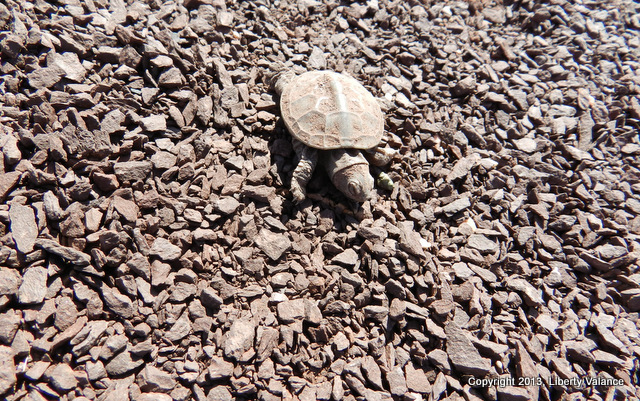 Answers, verified by ace NJMC naturalist Mike Newhouse, follow. 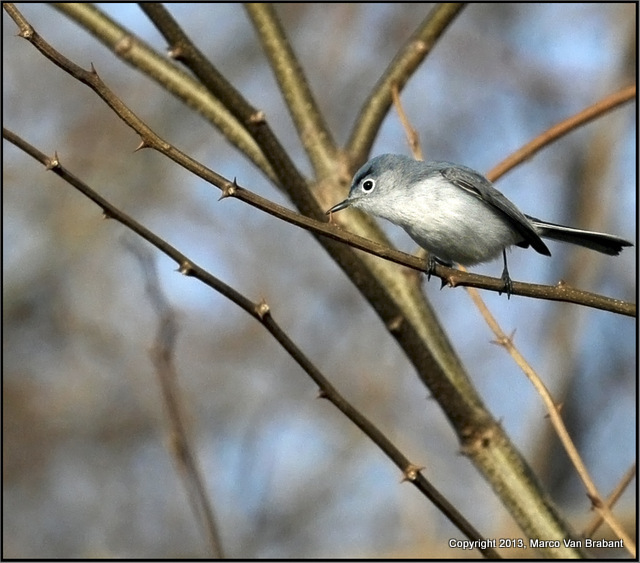 "I had a Blue-Gray Gnatcatcher on Disposal Road [Tuesday] morning. "Last night [Tuesday night] Allan and I drove through the Meadowlands and decided to take a look at the Retention Pond across from the Carillon. "Normally we just give it a quick once-over but last night we gave it the attention it deserves. "It was chock-full of amazing birds! 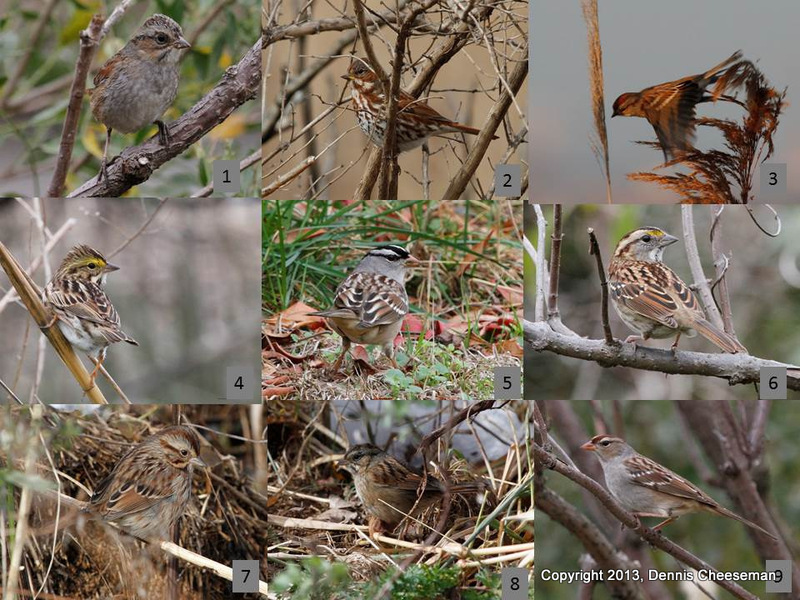 We spotted 2 Wilson's Snipes, a Spotted Sandpiper, 4 Palm Warblers and a Northern Waterthrush." "In addition, we has just come from visiting Clay Ave. pond and spotted 4 Wilson's Snipe (pictured above), Greater Yellowlegs and a Snowy Egret. It was a busy evening for the Meadowlands! We are looking forward to the coming weeks!" 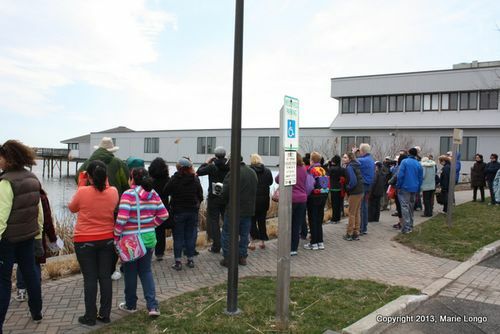 Bergen County Audubon Society had a great turnout for its first of three free Birding For Beginners classes and walks this year — more then 60 people, and a bevy of birds. The folks above are checking out a pair of close-in Blue-wing Teal (no lie!) We also had nice views of Am. Kestrels, and Tree Swallows galore. The next Beginners talk and walk is this Sunday at 1 p.m. in the Meadowlands Environment Center in DeKorte Park, Lyndhurst. Full list follows, followed by the listings for the remaining two Birding For Beginners talks and walks. Celebrate the end of income-tax-filing season with this Harrier Meadow spring bird walk in North Arlington on Tuesday, Apr. 16. We’ll walk around the 70-acre natural area, which is normally closed to the public, and look for Ospreys, early warblers, shorebirds and a snipe or two. The tide should be out, so the mud flats should have good birds. 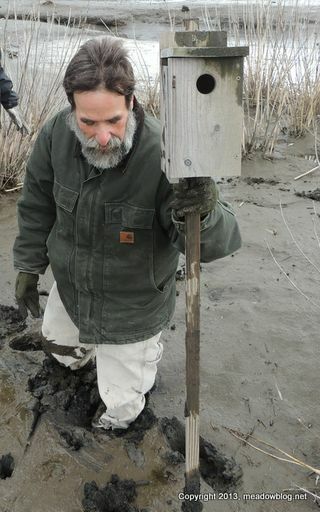 Don Torino's latest column for the wildnewjersey.tv blog is about growing up in the Meadowlands and staying connected to nature. A sample: "I am a proud child of the Meadowlands. I grew up thinking that the Red-winged Blackbird was our National symbol and Phragmities the state flower. "I believed the Muskrat was more beautiful than any other animal on earth and jokes about Jimmy Hoffa being buried in the Meadowlands are in really poor taste. "I also understood that getting stuck in mud was a rite of passage; a coming of age for all Meadowlands kids. After all, if you wanted the privilege and enjoyment of having the Meadowlands as your backyard playground and relish all the wonders it had to offer, you better get used to sinking in the muck more than a few times throughout your youth."